Until now, the Vero Profumo line had three fragrances: Onda, a mysterious herbal leather; Kiki, a fresh, bright lavender; and Rubj, a romantic, seductive orange blossom. Each perfume has a distinct personality, and each is different from the other. What would Vero Profumo's logical next fragrance be? A green chypre, of course. In true Vero Profumo fashion, Mito Eau de Parfum is styled as a recognizable, but not entirely predictable, member of the family. The fountains and statues in the garden of Italy’s Villa d’Este inspired Swiss perfumer Vero Kern to create Mito. Mito’s notes feature citrus, magnolia, jasmine, galbanum, hyacinth, cypress and moss. I’ve never been to Villa d’Este, and maybe I’ve fallen victim to the power of suggestion, but to me Mito does evoke a grassy garden smelled over a twist of fresh lemon peel and peppery bergamot. Shade dapples the velvet-fine lawn, and shrubs and trees dominate the garden’s alleys. Mito’s jasmine and magnolia don’t take center stage, but they soften the crisp galbanum without sweetening it. I’m used to thinking of green chypre Yves Saint Laurent Y as more green than floral, but it registers as ylang ylang heavy compared to Mito’s almost austerely citrus-stemmy scent. Givenchy III’s rose and wood — aspects of the fragrance I’d never noticed before — sweeten next to Mito. Mito doesn’t read to me as either particularly feminine or masculine. It's as gender neutral as a summer morning. What sets Mito apart from most green chypres I've smelled is the quality of its materials. I found a bottle of Chloé L’Eau de Chloé at a thrift store and have been wearing it a lot lately and enjoying its old-fashioned rosy green chypre vibe. L’Eau de Chloé smells thin and flat next to Mito’s layers and texture. In Mito, the citrus feels like a chiffon veil over wet green with a viscous, piney hint giving it body. Mito’s moss adds soft, dirty depth. It’s tart and cool, pungent and soft, airy and substantial all at once. Sadly, Mito only lasts about four hours on me. While it lasts, though, it radiates a substantial, but not thick, sillage. What’s next for Vero Profumo? What would complement the palette she’s already created? I’d like to see her take on a woody fragrance. It’s hard to say what direction she’d go with it, but I know it would be special. Vero Profumo Mito will be available in September as 50 ml Eau de Parfum, €145. 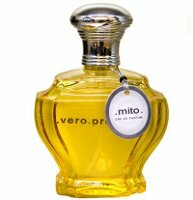 For information on where to buy Mito, see Vero Profumo under Perfume Houses. 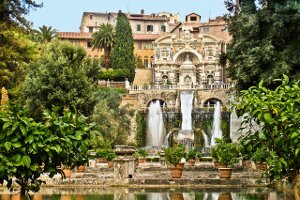 Note: top image is Tivoli (Rome), Villa d'Este by M.Maselli at flickr; some rights reserved. Green chypre? Galbanum, hyacinth and moss? This just shot to the top of my must try list – I’m already drooling copious amounts all over my keyboard! It’s really nice and easy to wear. Of course, green chypres are one of my favorite types of perfumes. Sounds lovely, and that bottle is fab!! The bottle truly is adorable! That’s a great idea for a fragrance! We’ll call it Eau d’Alyssa. I’d wear it. Ha! Oh, no, please name it after someone much more Magnolia-like than me! I was just so curious to see what Vero would do with that note. It’s difficult, and I’ve never smelled something that matches either the lemon-apple flowers of the gran magnolias in my neighborhood or the grapey scent of the “orchid” magnolias used to scent tea. For me, magnolia is especially nice because it reminds me of the beginning of spring when I’m looking so forward to summer. I had been very interested in this one based on the notes… but if it’s *that* citrus-herbal, it is probably not going to suit me. I like my chypres very floral – Y was too bitter for me, and G3 smells largely of very dirty patchouli to me. You might not like it, then. Mito isn’t particularly floral–less so than Y. What floral-chypres would you recommend, Mals? I’m intrigued. Vero Profumo? Green Chypre? I’m breathing into a paper bag to keep from hyperventilating. . . As soon as I’ve tried I’ll post because I’d like to be able to comment on longevity. On me, Onda extrait and Rubj EdP last 24 hrs and post shower. Weeeeeeeeee! It’s a good one! Mito doesn’t last very long on me, but it sounds like your skin loves those Vero Profumos. I think I, too, was hoping for a magnolia centric scent, but this does sound fascinating and I can’t wait to try it! Good point! Fortunately, at this point on the collection curve, a decant would probably last me forever even if I love it. That’s true for me, too. And yet I still somehow buy the occasional bottle…. Gawd, I want this so very badly. It sounds like my dream green chypre. But what I want even more is a Vero Profumo discovery set or coffret — maybe 10 mL of each EDP, and 2.5 mL of the parfums. Which reminds me — will there not be a parfum version of Mito? I love the idea of a discovery set! Really, the fragrances fill such different “wardrobe” needs that 10-ml of each would be perfect for travel. Oh, I so want to try this. A couple of months ago I ordered samples of the 3 extraits and was given a Rubj edp sample as a bonus. I have yet to try Onda. A little daunted by that one, but I adore both Kiki and Rubj. I will have to start saving for these. Thanks for a wonderful review of one of the most inspiring lines. Oh, you’ve got to try Onda! It’s fabulous and scary at the same time. Isn’t that Rubj EdP great? It’s odd, I am usually more attracted than daunted by bold scents. This one still needs a try. Don’t worry, I have a sample which wasn’t cheap so it will be used. Rubj EdP is great, I like the extrait a little better though. I’ll be interested to know what you think of Onda once you’ve decided the time is right. Mito is absolutely wonderful – and a revelation when layered with Andy Tauer’s Dark Passage!